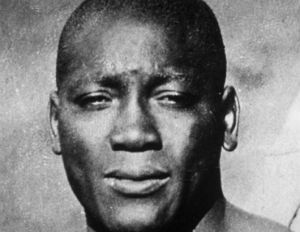 Today’s Black History Month facts focus on Jack Johnson and Univ of Alabama. – In 1948 Rosa Ingram and her fourteen-and sixteen -year-old sons condemned to death for the alleged murder of a white Georgian. Mrs. Ingram said she acted in self-defense.